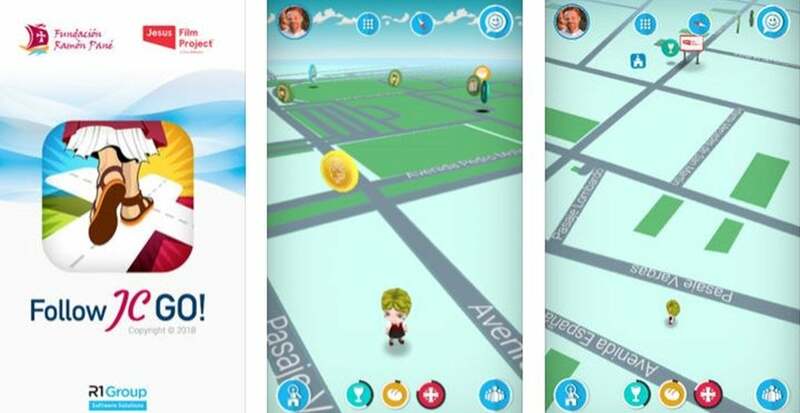 More than two years after the launch of Pokémon Go, a Catholic group has launched its own version the mobile gaming sensation that it hopes will lure children to the religion. Follow JC Go uses the same GPS-tracking and augmented reality (AR) technology as Pokémon Go, though rather than tracking different Pokémon creatures, players have to capture saints and other biblical characters. The copycat app has gameplay that is strikingly similar to Pokémon Go and even has the blessing of Pope Francis. I LOVE THIS F*CKING PLANET SOMETIMES!!!! The app is likely to raise questions about whether it constitutes religious indoctrination of young people, with leading atheist and agnostic figures previously criticising attempts to force religion onto children. In 2013, the academic Richard Dawkins said that raising a child within an organised religion like Catholicism was in itself equivalent to child abuse. “What a child should be taught is that religious exists; that some people believe this and some people believe that,” Professor Dawkins said at the Chipping Norton Literary Festival. All that said, we are still left wondering, is Jesus this game’s Mewtwo.